From as far back as the 16-bit era the Star Fox games have arguably featured control systems that take time to acquaint with. The original Star Fox introduced easily confused ‘90s kids to inverted controls – ourselves included – while early N64 release Star Fox 64 added somersaults and other aerobatic manoeuvres. These initially wayward controls soon became second nature though, usually as early on in as the second stage. We’d always begin our descent into Corneria by flying sideways while playfully dipping a wing into the water below, such was the accuracy of the N64’s analogue stick. Star Fox Zero’s biggest problem, and by quite some margin, is that the controls never feel natural. From start to finish, you’re forced to put both confidence and faith into the gyro-controls – used here to look freely around Fox McCloud’s cockpit, while precision aiming shots by gently tilting the GamePad. It’s a system that isn’t ideal for all situations, making some boss battles in particular tougher than they ought to be. Character speech also booms through the GamePad’s speakers. Presumably for the sake of nostalgia, lots of one-liners from Star Fox 64 are recycled. Voice acting is generally less ‘low budget sci-fi’ this time round – Slippy Toad calls out for help with a genuine sense of desperation, while Falco’s tone is now more confident than cocky. Zero begins not with a bombastic tour of Corneria that teaches the ropes but with a tutorial set in deep space. From thereon telling signs are present that Nintendo has tinkered, refined and quite possibly removed elements to make the controls as fluid as possible; signs that make it apparent Nintendo knew players would initially struggle. That opening tutorial takes between 5-10 minutes to finish, teaching the controls for the Arwing alone. Other tutorials – each of which includes a challenge to beat – are then optional. Crash and burn repeatedly and you’ll be reminded that they’re available, along with a prompt asking if you want to head back to the main menu for a refresher. 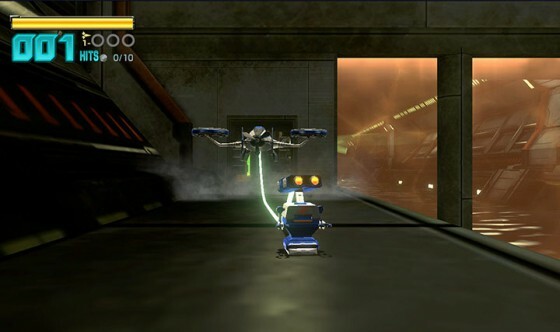 Somewhat bizarrely, Zero puts you in control of the bipedal Walker at the end of the very first stage. This only makes a rough first impression rougher, as chances are you won’t have even got to grips with the standard controls by this point. Suffice to say, Zero doesn’t make the most favourable of first impression, despite the visuals featuring the sheen that first-party Wii U titles have become renowned for. Zero then stumbles further down the line, before recovering slightly by featuring dozens of nods and winks to Star Fox 64 and the SNES original. That stumbling block takes the form of a slow-paced stealth mission set inside an underground enemy base. This mission bestows control of another vehicle – the Gyrowing, which can ascend and descend like a helicopter. It’s also equipped with a tiny deployable robot that can be dropped off to disarm spotlights and such. Once deployed the robotic chap’s view is shown on the GamePad, and due to being manoeuvred with standard analogue controls it’s one of the few ideas here that works faultlessly. Had this been the only use for the GamePad in the entire game we would have been perfectly content. We should however note that the analogue stick controls for both the Arwing and Gyrowing work incredibly well, allowing the Arwing to brake, boost and barrel roll with a flick of the stick. The Gyrowing meanwhile glides through the air effortlessly, banking and turning with grace and ease, while the Landmaster’s three way lock-on missiles make the two tank missions enjoyable enough rides, even though you feel more like a passenger here. It’s the aiming and shooting that we never felt at home with, even after completing Zero twice prior to penning this review. We should be thankful that Arwing Walker platforming sections are few and far between, as these proved frustrating due to the occasionally irksome camera angle. The rest of the game is relatively easy, and this is Zero’s second biggest cause for concern. It’s more than apparent Nintendo has lowered the difficulty level from previous instalments simply to compensate for the wayward controls. Shield boosting rings – of both the silver and gold variety – are commonly found, even during the final boss battle – and it’s only during the final two stages that the difficulty level raises to a similar level of challenge to Star Fox 64. And get this: after failing the final boss several times in a row, we were eventually granted invincibility. This only further hits home how Nintendo has lowered the difficulty for series newcomers. As a game based around high-scores, there is of course replay value in gaining gold medals for all 12 missions. By the time players rise up to this challenge the controls should no longer be the issue that they initially were – they do ‘click’ after a while, but as previously stated they never feel natural. This is one thing we struggled to look past. There are collectables to find too, usually hidden behind objects (including a waterfall: gaming’s number one cliché) or only gained by flying through certain structures, while some missions feature branching paths leading to new locations. Opening stage Corneria, as expected, features one of these – an alternative route with a different boss battle. 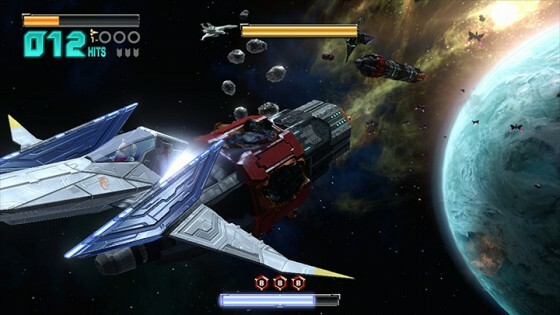 Returning to past stages with new vehicle upgrades adds another incentive to return, but make no mistake – by today’s standards Star Fox Zero is a fleeting experience, easily beatable in an afternoon. Nintendo infamously cancelled Star Fox 2 because they wanted a clean-cut from 3D games on the SNES and 3D games on the N64. 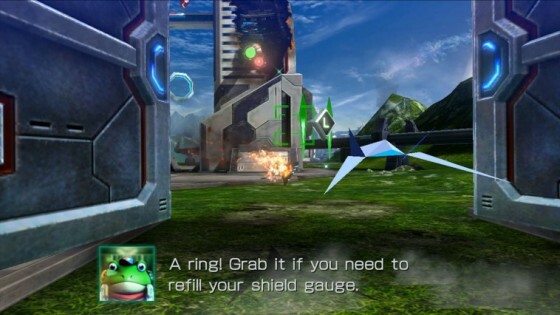 When enduring Zero’s low points we couldn’t help but think that Nintendo would have been better off repeating history, cancelling Star Fox Zero and including its best ideas in a new NX Star Fox – one with traditional controls. Calling in Platinum Games to turn this project around – a la Metal Gear Rising Revengeance – should have served as an early indication that development wasn’t progressing as smoothly as Nintendo envisioned.